In agricultural societies, a family’s wealth is measured in the number of cattle they own. In modern America, that wealth measurement now consists primarily of stocks, bonds and real estate, but the IRS provides tax advantages to farmers and ranchers who own cattle. Understanding the available tax breaks for owning cattle can help you plan a smart financial strategy for the future. Not only are cattle themselves considered a depreciable asset, but many of the expenses associated with raising them also qualify for tax deductions. To obtain the tax advantages and benefits of owning cattle, you must have a working farm, not a hobby farm. That does not mean you are necessarily a hobby farmer if ranching or farming is not your primary job or source of income. If your farm shows a profit for three out of five years, you are considered a business, not a hobby farm. The operation must also be run like a business, with strict record-keeping, continuing education of some sort and substantial time spent on the activity. Cattle intended for dairy or breeding purposes can be depreciated. This is not the case for animals whose purpose is primarily resale. In general, you can begin the depreciation and farm tax write offs at the time the animal goes into service. With calves, you must wait until they are old enough to breed. Under the typical depreciation method, you can depreciate an animal for five years within your cattle business. With any depreciable item, whether livestock or otherwise, the farmer’s basis determines the amount of the depreciation. That basis is usually the item’s initial cost. If cows are given to the farmer as a gift, the basis of the donor becomes the basis for the recipient. The length of the depreciation depends on the item. As noted, cows are typically depreciated for five years, but multiuse farm buildings are depreciable for 20 years. Single-use buildings, such as a cow barn, are depreciable for 10 years. Fencing is depreciable for seven years. If cattle farmers want to move deductions to an earlier tax year, they can do so by prepaying the costs for feed they won’t use until the following year. However, prepaid feed expenses cannot exceed 50 percent of other deductible expenses with some exceptions. Those exceptions include prepaid feed expenses encompassing more than 50 percent of deductible expenses if “unusual circumstances” caused a change in business operations or if all prepaid farm supplies expenses for the past three tax years is less than 50 percent of the total of other deductible farm expenses for those same three years. Other deductions relating to cattle farming include veterinary bills and supplies, as well as the maintenance and repair of cattle barns and other farm buildings. In many states, you can save money on your property taxes if your land is farmland-assessed. The criteria for farmland assessment depends on the state, and it includes the type of agricultural production permitted for farmland assessment, the amount of acreage needed and the amount of farm income required each year to qualify. Breeding, raising and selling cattle qualifies for farmland assessment in almost all jurisdictions, but whether the farm can take the property tax deductions depends on the overall annual farm income. One caveat: If you have a farm property and keep a pet cow or two, don’t try to claim them for farmland assessment. They must serve as breeding, milking or meat-producing animals. Your cattle depreciation can be accounted for using IRS Form 4562. 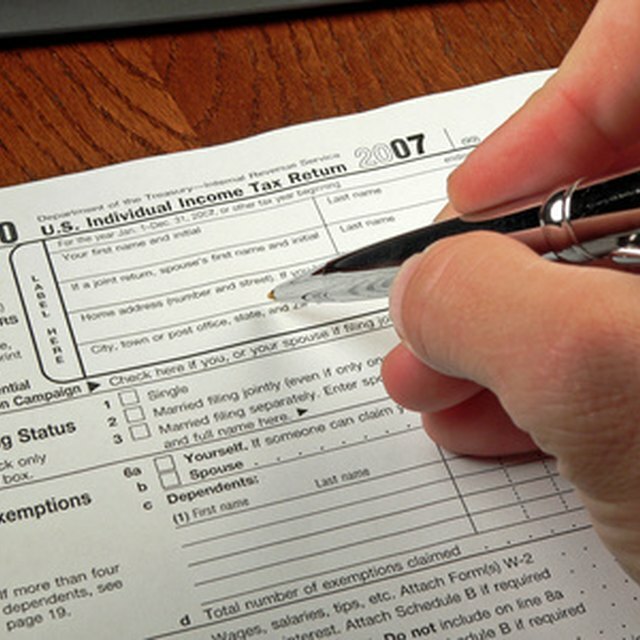 Similarly, any other exemptions or deductions affecting your personal income can be claimed using IRS Form 1040.